If you like walking and taking photos, we suggest today that you discover a marvelous beach: Vlychad, with the impressive reliefs. 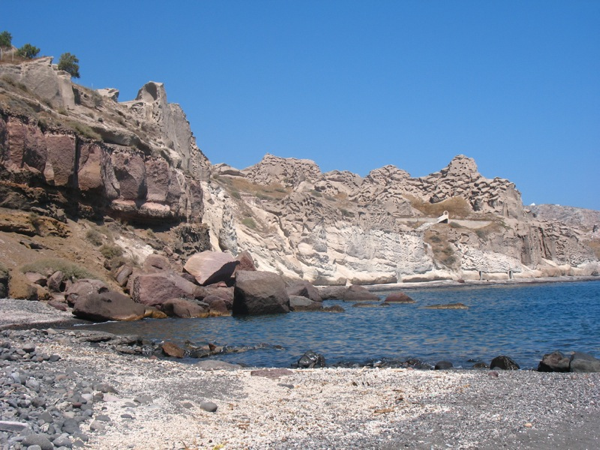 You can leave your vehicle at the small port and start to walk from the beginning of the beach, which is organised, or, alternatively, you can head to Akrotiri and just before the village, get any dirt road on your left that leads ... somewhere on the empty beach! The lunar landscape and the volcanic rocks are perfect fot your photos! As for your swimsuit, it is now optional!